Home / Columnists/ O Democracy! What crimes are committed in thy name? O Democracy! What crimes are committed in thy name? Copious amounts of what has to be construed as democracy administered broadly and expansively to drench a desperate, bewildered citizenry by a rotating leadership of confirmed crooks pregnant with hypocrisy and insincerity have in essence contributed towards a palpable feeling of delusion and disillusionment. The war has ended; there remains no burden on defence budgets or allied infrastructure. The very thing that devoured a giant slice. Yet within just 10 years of permanent peace quality of life of the Sri Lankan populace has plummeted vis-à-vis actual gains. Poverty alleviation processes hampered due to a multitude of economic ailments. The opposite sides of Somawathie’s palm, a mother of four kids moving drearily in unison with her dentured mouth muttering incoherently “I don’t know why”. It seems someone had taken an open cheque for defeating terrorism at the expense of the people without transferring actual peace dividends to them, as it should have. The first blow to democracy. A huge chunk of the dough siphoned to ensure and entrench a perpetual dynasty even if that meant destitute Somawathie had to exchange the formidable US Dollar at Rs. 200 to purchase her requirements of bread, milk and other essentials for her family. The economic war kills more than the military one and most of us are blinded. (c) It has the capacity to maintain order and rule of law, and otherwise respects human rights and the democratic rules of the game. How could a people expect responsive democracy from a bunch of irresponsible politicians whose only concern is to disentangle themselves from the long arm of the law for the many reprehensible acts, spew vituperative language, and engage non-issues as strategies of deflection until their time arrive in the musical chair to occupy it? This has been the tradition turning to be a showcased legacy. Economics is everything. Somawathie wants to place food on the table for her family and if she is able to do that she does not care at all as to who is president or who is prime minister. Investor confidence dwindling in Sri Lanka and the urgency to maintain adequate level of external reserves whilst accommodating outflows to imports, debt servicing and the now routine “disorderly adjustment” will no doubt play out to be the adept juggler’s magic. Moreover, the vicious blow to the rupee could have only come from something outside the realm of natural economics. It had plunged faster than an aircraft would in an emergency, a central feature to be monitored to avoid a certain calamity in Sri Lanka. The adorable Mangala Samaraweera, the Minister of Finance and Mass Media, will have to do a lot of talking and convincing the purpled plutocrats in Washington and this time ensure the borrowed money remains very much within the economy extricating and ameliorating the economic condition of the people. It seems the Sri Lankan intelligentsia had awakened to the evolving reality and are trying to respond to the scourge in spasmodic bouts but the pestilence manifests amazing resilience. The supposed sovereignty of the people bluffed, burnt and betrayed. The general political leadership bereft of notable and guided commanders accentuating gravely the unfolding malaise. A bunch of lowlife, self-serving, avaricious and criminal executioners has systematically perverted a system to serve themselves, committing atrocious crimes in the name of democracy. Is democracy the best political system to govern and serve people? Time has come to proclaim this bold question? One is not born with an innate democratic instinct malleable to populist, libertarian and self-rule. On the contrary, man is born with a natural pre-disposition accepting the creator and his constitution. In this respect, democracy no doubt is an intrusion or should I say invasion. Those in the creationist school would argue, “The creator will not create without a solid governing manual”. Just as a Ford engine would not fit into a Toyota vehicle democracy even in liberal, copious amounts will not elicit the higher ideals why man was created. Founding fathers of the United States of America, which is the bastion of democracy today, struggled to decide the true efficacy of democracy. Some founding fathers seemed to be pro-democracy while others did not favour as much. Those like George Washington, Thomas Jefferson, and John Adams did not know exactly what the new nation needed. Cold-blooded murder, irreversible mayhem, scaring larceny, outright felony, automated mendacity and more are striking hallmarks of Sri Lanka’s democracy. There seems to be no end to this. Mother democracy, if I am permitted to use this endearing phrase, has received many a blow and cavalier bludgeon, she limps along. It’s a strange phrase. Mother democracy? The supposed loving mother telling nations to embrace her for political salvation and emancipation. She may not be unfaithful in her invitation but most of her children corrupt and scandalous. She is old, senile and ailing. Mother democracy quite fecund in her hay days. Not that she fell ill due to old age but was subject to brutal ill-treatment, traumatic victimisation, violent abuse and her rights consistently desecrated. None acknowledges the collective felony nonetheless continue to feign profuse love and affection. Even in her frail condition, she remains firm. Debilitating abuse had not squandered her resolve to engender filial love close to 100 children. The US being her eldest had vouched sacrosanct devotion sanctimoniously or otherwise. Everything the US does in her name even if it means killing 500,000 Iraqi children to proselytise its people considered morally right. Former Secretary of State Madeline Albright said it best. Deaths of half-a-million Iraqi children from the US and UN sanctions on Iraq were “worth it”. She was referring to eliminating such a large number of children. Beginning of the 21st century and in less than 150 years the noble, patrician and poignant essence of democracy were all but eviscerated. George W. Bush and his fellow imperialist Tony Blair were on the front foot exporting democracy to a part of the world who were fundamentally had a time understanding Islamic rule. The US war in Iraq was supposedly a part of an attempt to spread “democracy” to the Middle East. What the world did not know was that the plutocrats and neo-liberal goons were busy entrenching conduits and tightening the screws to syphon via Halliburton and other vultures the wealth of the Iraqi people. Soon it became apparent that all pontification about democracy was just an eyewash. A cleverly crafted plan to camouflage sordid realities. Mother democracy understood the interlaced evil but could not do much to subdue the machinations of her eldest son. On the other side of the world, in the aftermath of World War II, Stalin had the Soviet Union gobble up nations of Eastern Europe; he christened them People’s Democracies — although they were neither democratic nor meant to be. This debasement of “democracy” and other noble terms such as “freedom” and “peace” were nothing but crude propaganda. One could understand now why George Orwell in 1984 portrayed a nightmarish society in which words were turned inside out to justify policies of cynical and unscrupulous rulers. News of the health of Mother Democracy deteriorating fast. News reaching us is that she is in a comatose condition and in an undisclosed hospital in Washington. Some of her other children closest to her namely Vladimir Putin of Russia, Abdel Fattah el-Sisi of Egypt, Nicolas Maduro of Venezuela, Yoweri Museveni of Uganda doting children no doubt wanted her transferred to a hospital in one of their countries. 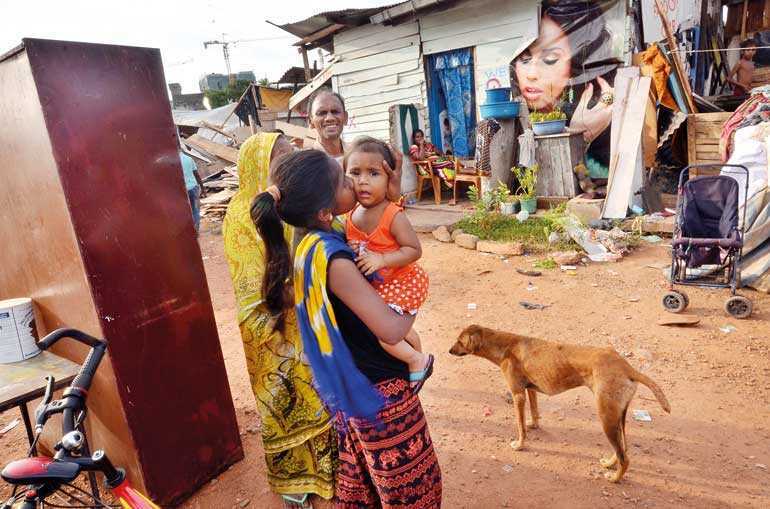 A little birdy whispers a combined request by both current and ex-Presidents of Sri Lanka Maithripala Sirisena and Mahinda Rajapaksa respectively fell on deaf years. Donald J Trump had nothing of that. Stakes were high for him. Her survival meant better prospects for him in 2020.